Sometimes we simply want to, or need to, eat out. 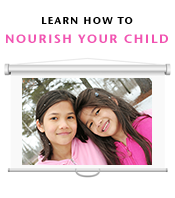 Do you ever wonder how to nourish yourself and your children as well as possible when you do? Have you wondered how to prioritize food choices when you dine out? Now we can get our questions answered! These 3 ebooks are offered on promotion for 14.99. This bundle would normally cost 62.95. If you have a choice between a batter-dipped “pasture-raised” chicken breast fried in canola oil or a “naturally-raised” rotisserie baked chicken basted in olive oil and spices, which should you choose? If you have a choice between french fries made with non-organic potatoes but fried in duck fat and organic french fries cooked in canola oil, which should you choose? The Food Renegade Guide to Dining Out is packed full of beautifully-illustrated real life choices just like these. I have Kristen Michaelis’ answers listed below at the bottom in case you want to decide for yourself first before you see her perspective. Always order options that enable you to “see” the food. When you order made-to-order foods, ask for the options that actually keep the whole, real food visible. For example, when ordering eggs, avoid scrambles and omelets. Instead order poached eggs or fried eggs. You want to see yolks and whites and know that you’re actually getting an egg. That’s because scrambles and omelets often come from (or include) boxed mixes with a myriad of ingredients. Likewise, when ordering tacos, opt for the fajita tacos or the chicken and avoid ground meats. You want to “see” the meat and know that there’s no hidden textured vegetable protein or other non-foods in the ground-up mush. In the same way, you’ll want to choose grated or crumbled cheese rather than cheese sauces … unless you know the cheese sauce ingredients! I see this as a very, very worthwhile value! Order before the offer expires! I have. Any referral bonuses Nourishing Our Children receives as a result of publicizing this promotion will be used to give away the hard copies of our DVD complimentary to our community members! We will announce a giveaway if we have the funds to do so! 1. If you have a choice between french fries made with non-organic potatoes but fried in duck fat and organic french fries cooked in canola oil, which should you choose? Using the chart in The Food Renegade Guide to Dining Out, you’d decide that the “Most Important” priority is the cooking fat, which means you’d opt for the duck fat fries even though they were made with non-organic potatoes. 2. If you’re given a choice between Wild Alaskan Salmon and an Organic Chicken Breast from a local rancher, which should you choose? Using the chart, you’d decide that the “Most Important” priority is that the animal food is Pasture Raised and/or Wild, so you’d opt for the Wild Alaskan Salmon even though the [organic] chicken was from a local farm. What do you prioritize when you and yours eat out? 26 Responses to How do we eat out at restaurants? I just ordered these today! I am fairly particular about where I go to eat out at when in my own city. I seek out farm to table, organic restaurants in the first place. Even then, they often use vegetable oils or rice bran oil, so I do ask about them. I tend to avoid any fried foods as a result. If I just don’t have many options, when I am traveling, I will choose the most whole food option available, and ask for butter! I tend to order lamb, if possible, when I eat out. I avoid soups unless I know that the broth is made on the premises. I also avoid grains at restaurants as well. I like to order a salad and ask simply for olive oil and vinegar, perhaps lemon. I don’t eat out much for financial reasons, and I enjoy cooking and having control over my food quality. I do look for “organic-y” restaurants, preferably using local produce and meats, and I look for pastured meats and wild-caught fish (though farmed tilapia is better than farmed salmon), and I inquire about the cooking oil. I also look for salad dressings based on olive oil and not anonymous “vegetable oil.” I also look for gluten-free but not too starchy. I like the suggestion to order things that let you see the food “whole.” Very useful. If ordering salmon, I would definitely choose Alaskan wild salmon over almost anything else, which is likely to be farmed, but, I would prioritize local food if I knew or knew of the producer. I would choose the french fries made with non-organic potatoes but fried in duck fat if I had a terrible craving for fries. We try not to eat out because our area seems to have NO healthy choices. Even if you try to go healthy, and order a salad, you get a plate of bagged iceberg lettuce smothered in cheese with fried meat on top! I can’t wait to read this book! We seldom eat out, but definitely find challenges when we do unless we are eating at an establishment that is known to us and we feel comfortable with their sourcing and ingredients. We do have a few reliable and trusted restaurants that are our “go-to” eating out spots in Boise, ID where we live. But going on the road is always another story and I have found many challenges searching for farm-to-table restaurants. We usually end up eating at the Whole Foods hot bar or cold counter when we are driving, and we spend a lot of time on the road driving from town-to-town when we travel. I am definitely excited to find new ways to locate restaurants and other businesses that will accommodate our dietary requests in this new book! I always try to use my discretion and choose what I believe to be the best option. We almost always choose to eat out at a wonderful local restaurant that uses pastured, humane meats; sources local eggs and produce; and tries to be ad farm to table as possible. My biggest struggle comes when we eat out at chain restaurants with family. I cringe when ordering from the menu. What advice do you have for eating at a place like Carrabba’s, which my in laws love? Is it better to go with a steak or chicken and hope for the best? Or choose pasta or pizza and avoid meat? I can’t wait to check out the book bundle! 1. Every other survey responder asked HOW to have these conversations with servers without being rude/embarrassed. 2. Every fourth survey responder asked your question: how do I eat out in chain restaurants with family & friends? What are my best options there? SO, I actually went back and added three new chapters to the book so I could answer these questions!! I actually (a little to my horror) sat down and spent more than 30 hours on the phone & internet researching the menus of the nation’s top 30 restaurant chains trying to figure out what (if anything) on their menus was a “tweakable” least-worst choice. Then I wrote a chapter listing all the items, arranged by restaurant. Some restaurants in the Top 30 had nothing at all redeemable on their menu (like Taco Bell — TOO much soy & soy oil in EVERYTHING). Others were surprising! Did you know, for example, that Panera has an entire “hidden menu” of 100% Paleo meals? They call them their “Power” line of options and include no grains, no dairy, AND NO NASTY OILS. Instead they’ll give you REAL OLIVE OIL & lemon to top off your dish. Anyhow, all this to say, I didn’t research Carabba’s (not in the top 30, sorry), but I did research Olive Garden, so I’d imagine that there’d be similar menu items between them. I saw that section in the book, Kristen, and envisioned it would be of value in those restaurant “worst case scenarios”. I am glad you added it! Thank you for all of the research you’ve done on behalf of all of us! My first priority is to make sure we avoid gluten as much as possible because that’s an issue for my family. Proteins are the next priority, if I can’t get something reasonably raised I’d rather go with something more veg prominent. We try to avoid most condiments, sauces, dressing, etc. Always drink water. We have a couple of go-to places locally and a few chains that are not horrible but typically pack as much as possible when traveling. How do I eat at restaurants?? I have mostly chosen to cook & eat at home tho when I do go out I read the menu carefully, I take the time to find out how the food was raised & where, I become friendly with the server, and I savor my food & am grateful for all the work that went into it, including cleaning up after me. I make it the best experience I can, focusing on what looks, smells, & tastes good as well as feeling good for this treat. First, I make sure it lacks anything with aggravates my health problems, so no gluten or soy, and I tend to avoid corn as well. Otherwise, I keep with the suggestions to see the food (hence my only eating scrambled eggs at home) and nothing too covered in sauces. But most of all I just try to do the best I can at the time and do not beat myself up over a possibly bad choice. We try not to eat out a ton because of cost and because it’s very difficult for us to find good options. I have a toddler that i share my meal with, so it’s important to find something good for her. I try to find things that are more likely to be made in house as opposed to things that probably came in frozen or canned. Sadly, in our area wee haven’t come across anything like the examples given in the article. I don’t know anywhere that makes food in fat other than vegetable oil or that would serve anything organic. We rarely eat out. I started my son on the gluten-free diet in ’99 which improved his health from being non-verbal autistic to high functioning. What you eat is so important. When we do eat out I call ahead and ask for options. I’ve gotten used to special requests in ordering our food. It’s hard not to have a slip up once in a while. You had me at duck fat. Lately we are all about eating at home. After 15 years on the road it is not as appealing to go out as it once was. When we do, we like to find a restaurant that supports a local grass beef farmer. However, if I hear of a restaurant frying anything in duck fat, I do like to investigate the dinner menu. When we eat out with our children we prioritize local fresh organic options over what’s offered at the restaurants that are closer to our hone. If everyone is craving burgers ideally I make them at home. But if time is an issue and I want a break from cooking we go somewhere that offers good quality meat, gluten free buns and sweet potato fries over potato, and risk having them cooked in poorer quality oil. My goal is to get some kind of healthy vegetables into meals. We’d rather drive further to a restaurant that offers organic vegetables and grass fed meats or pastured chicken which is possible to do here in the Seattle area. I don’t eat out that often, mostly because I love cooking. When I do, my first preference is to choose restaurants that source their food from local, sustainable farms, and that use meat from pastured animals. If I am not in that kind of a restaurant, I ask LOTS of questions about where the food comes from, and what is in the specific dishes I am ordering. I frequently eat vegetarian at restaurants I am not familiar with, and as much as possible get dishes where I can tell what food I am eating. I know that I have to be aware of oils as a priority, and also ask about wild vs farmed fish. This book seems like a wonderful resource! I don’t eat meat when I eat out. I prefer not to eat out because it’s too difficult to meet my standards. We have let Chipotle in our lives, then I find out they use soy bean oil! It’s frustrating really and you don’t know who to trust. When I go out to eat with the work crew, I eat vegetables and maybe eggs and that is pretty much it. Except we went to a restaurant recently that had organic tomato bisque. : ) I know one thing to stay away from is meat, because it will most likely be from confined animals! I cook vast majority of food at home. When we do eat out its do much easier in our home city as the selection is wide and we either find a healthy restaurat option. It gets tough when traveling. Some places (the smaller the town, the tougher it gets) don’t have much to chose from. We absolutely avoid fast food chains. We look for small local, family operated restaurants. Or, I get produce from the market and cook in my crock pot in a hotel room (psst, hahaha). I try to choose restaurants that fit some criteria of a healthy diet. But I’m also not a stickler when I go out to eat. But if my friends choose something that doesn’t hold up to a lot of my standards, I just enjoy it. I think the key to eating is just don’t overdo it. The 80/20 plan is a great concept.